Where Should You Go on Holiday? Deciding where you want to go on holiday is always a tough decision. Do you want to spend your days relaxing on the beach or would you prefer a sightseeing city break? Or maybe you’d love an action-packed getaway with lots of activities? 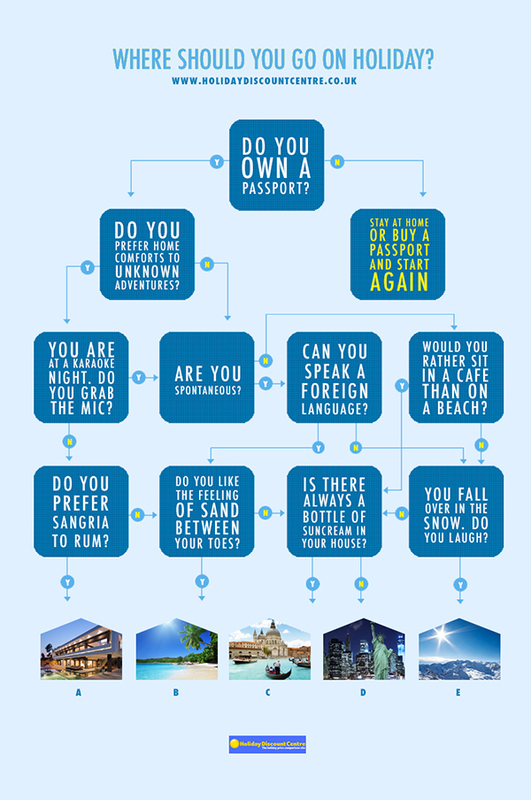 So, to help you choose which destination is perfect for you, why not have a go at our handy holiday flowchart? From fun evening entertainment to familiar food, you love an all-inclusive holiday to a destination that reminds you of home. With its warm weather and short flight times, Spain is the most popular destination for Brits who flock to popular resorts such as Costa Blanca and the Costa del Sol every year. If Spain isn’t for you, how about flying out to the Canary Islands or Turkey? Holidays for you are all about the beach. 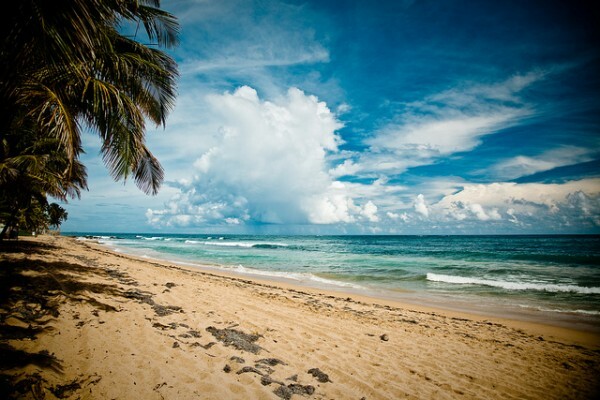 And there are few places better for an all-inclusive beach break than the Caribbean. You’ll have hours of fun relaxing on the beach as you sip on a Strawberry Daiquiri and soak up the scorching Caribbean sun. Choose from countries such as Jamaica or the Dominican Republic. Other long haul alternatives include the Egyptian resorts of Sharm el Sheikh and Hurghada or Cancun in Mexico. When you go on holiday, you want the best of both worlds; sunshine and sightseeing. So a city break to Venice is sure to be right up your street. No trip to this beautiful part of Italy is complete without floating along a canal in a gondola, while you’ll love exploring the various cathedrals, museums and bridges here. Already been to Venice? Then why not try some of our other top city break destinations including Athens and Madrid. You like exploring, but you want to spread your wings and travel a little further afield – while you’re not too fussed about the temperature. The bright lights of New York are perfect for you. With its iconic skyscrapers and famous landmarks such as the Statue of Liberty, New York is one destination that should definitely be near the top of your bucket list. If you don’t fancy the Big Apple, you could opt for somewhere like Beijing in China or Reykjavik in Iceland. You’re probably a sporty type whose weekends are often taken up with various activities that get the adrenaline pumping, meaning you’ll love the thrill of hurtling down the side of a mountain on a ski holiday. Oh, and you still get excited every time it snows! Some of the best and most popular European ski resorts include Les 2 Alpes and Alpe D’Huez in France. Which destination did you get? Let us know on our Facebook or Twitter page. Image: Breezy Baldwin via Flickr.